We’re pleased to bring you a President’s Day edition of Proto Monday featuring the first glimpse of Scribe’s (D. Ross) The Resound Field Guide mini-series in the works from Cardboard Spaceship. 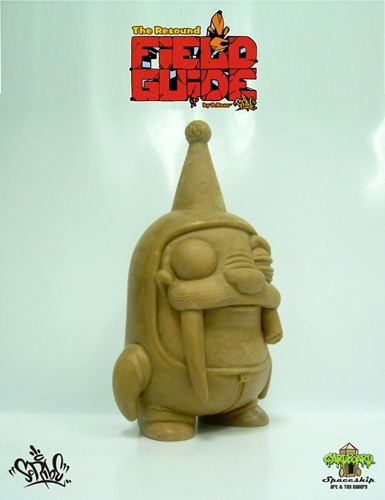 This series will bring a selection of Scribe’s popular characters into the toy realm including his walrus which we’re revealing today in final sculpt form. With this nice sculpt, the series promises to capture the strong characterization which has earned him a passionate and growing collector base. As with many others we’ve been duly impressed with his numerous jaw dropping customs and are excited by the opportunity to own his menagerie of quirky wildlife.